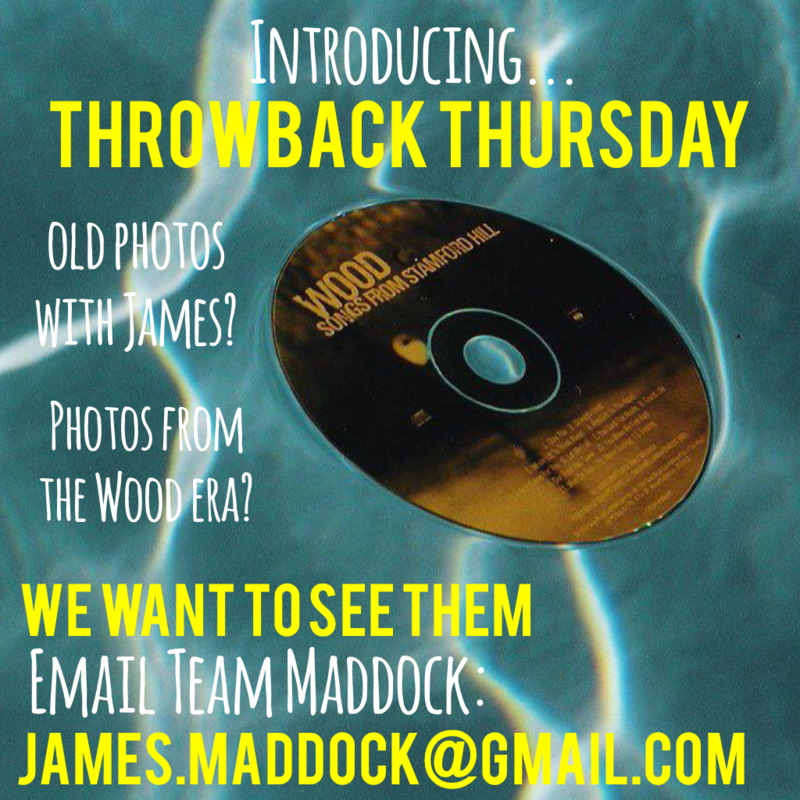 INTRODUCING THROWBACK THURSDAY: SEND US YOUR JAMES MADDOCK PHOTOS FROM OVER THE YEARS TO BE FEATURED EVERY THURS! Note: Bonus points for outdated hairdos, questionable fashion, or anything else that should have been left in another decade. To kick things off, we're sharing an old Wood webisode, which is sure to have you singing/laughing along. It features the hit song "Stay You," and it is embedded for you below to watch. Enjoy, and happy first ever Throwback Thursday!